Not a significant source of saturated fat, trans fat, cholesterol, total sugars, added sugars, vitamin D, calcium, iron and potassium. Capers, Water, Wine Vinegar, Salt. 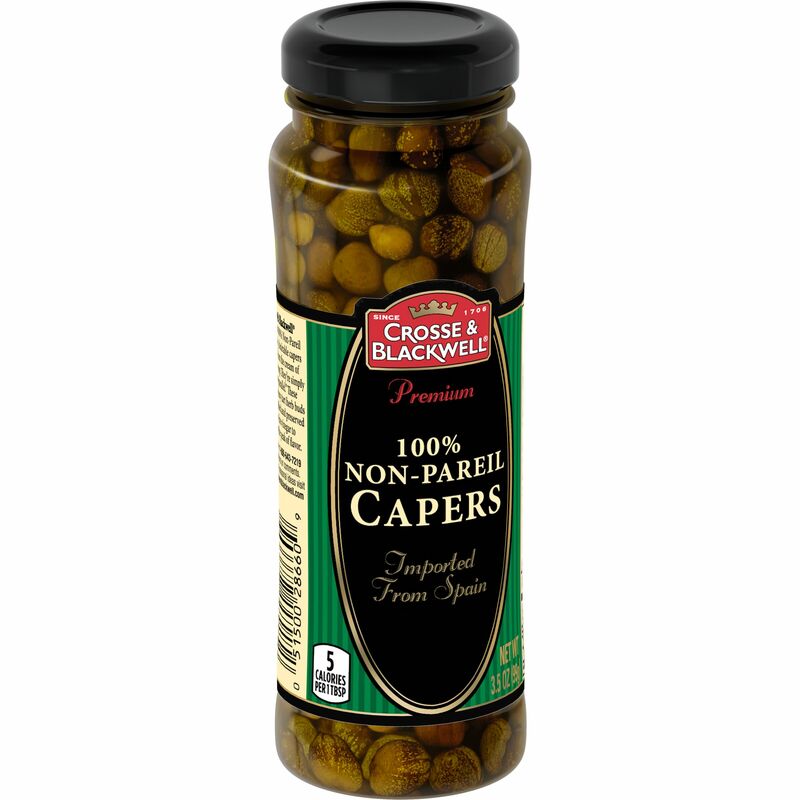 Capers are the edible flower buds of the caper bush used as a seasoning or garnish, and are usually prepared by pickling in a salty brine.